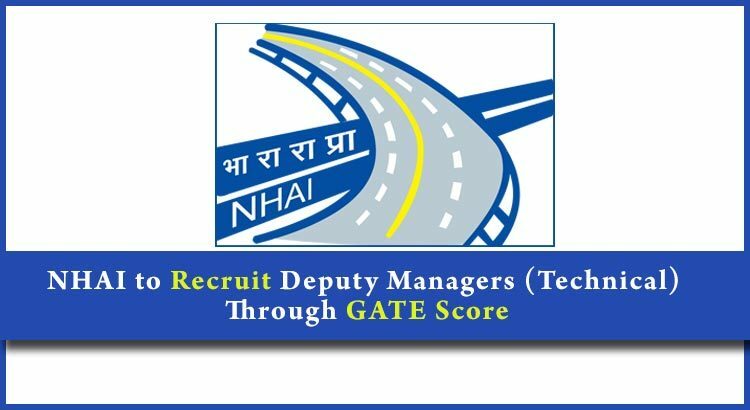 The National Highway Authority of India (NHAI) has started inviting applications from deserving candidates to fill 29 vacant posts of Deputy Managers (Technical). The last date of applying online for the same is 28 February, 2019. Candidates interested to present their candidature for this PSU recruitment should have a valid GATE 2018 score. The eligibility criteria for the same would be graduation in engineering from Civils stream. Interested candidates can apply for this post through online as well as offline mode. NHAI would also publish notification about this job in all the leading news dailies. For detailed information regarding this PSU recruitment of NHAI, check the official NHAI notification. NHAI is responsible for the development,maintenance, and management of national highways across India. NHAI manages more than 70,000 kms of national highways across the country.